Real Estate is my profession and job, but it is also a pleasure for me to successfully help a seller market their property or a buyer to find the perfect home. Many clients write notes indicating their appreciation for my service and representation and sometimes I ask for permission to print them. The following are some highlights of their notes. “My husband, a doctor, met Susan while treating her daughter for a sports injury, and they hit it off immediately. We had been looking for an agent to help us find a permanent home in Baton Rouge and to sell the townhouse we were living in. Susan helped us package the purchase of a lot and building our new home with great ease. After moving in, Susan sold the townhouse for us and at a very satisfactory price! Several years later, When Ed retired and we moved back to our hometown, again we called on Susan to sell our home. During the move back home, my husband became very ill and we were in the middle of a purchase agreement. Susan eased the burden of me dealing with the final sale preparations, at a time when I could not think real estate. She says "excellent service is my commitment" and we can attest to the fact it really is how she runs her business. " “Susan is presently marketing the third property within two years for us, in Baton Rouge. She helped us coordinate the sale of our family home and the purchase of our new one all at once! Her expertise and care removed the fears of trying to buy and sell at the same time. Recently, when it came time to sell another property, there was no question who to call." “Susan took over the marketing of a large subdivision development my late husband and I started years ago. She advised me that the lots were small for the current market trend. With Susan's help, larger lots were created, an owner-financing program was formulated to encourage sales, and within four years the development was sold out. When I developed another parcel, again I called on Susan to market the property, and all 14 lots were sold in a timely and satisfactory manner! Susan's knowledge of the real estate market has been very beneficial to me." "Words cannot express how thankful we are for everything! You were so patient with us and it has been a pleasure and a privilege to work with you to find a place to call "home". We will not forget all your hard work and dedication. 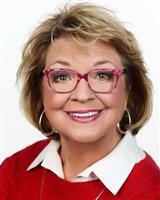 "Whether personal or investment property, we never make a real estate move without Susan. Buying several investment properties in the last few years, we looked to her for advice on where our money would make the most return and we've been very satisfied with the results. Our daughter needed an agent to market her condo in Baton Rouge, and we called Susan. It sold quickly and at asking price. Susan will be our ‘family agent’ from now on."